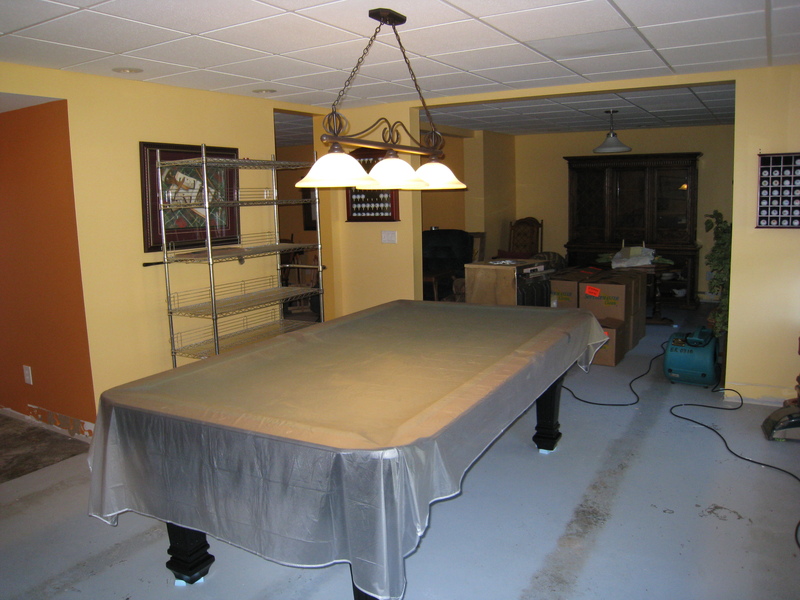 We specialize in the proper techniques to safely move and store 3 piece slate pool and billiard tables for mitigation and restoration crews. 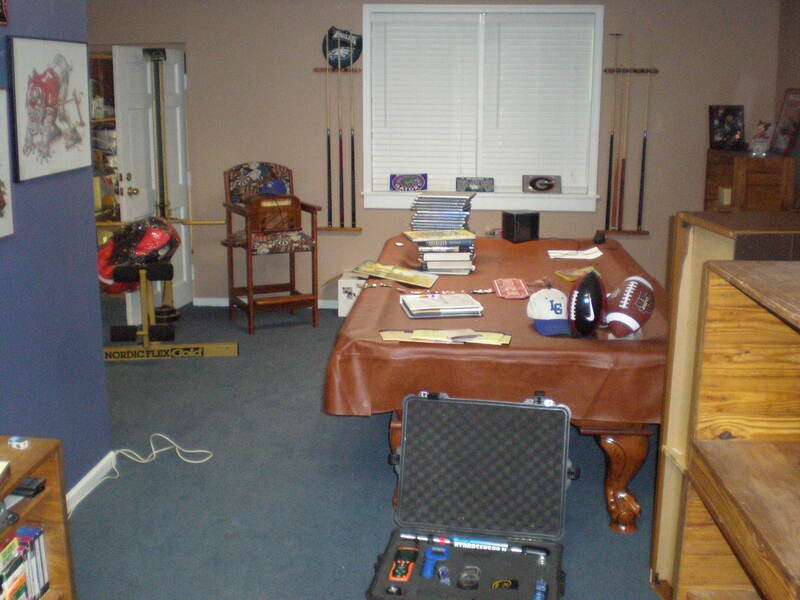 We can work directly with the insurance company or homeowner if preferred. 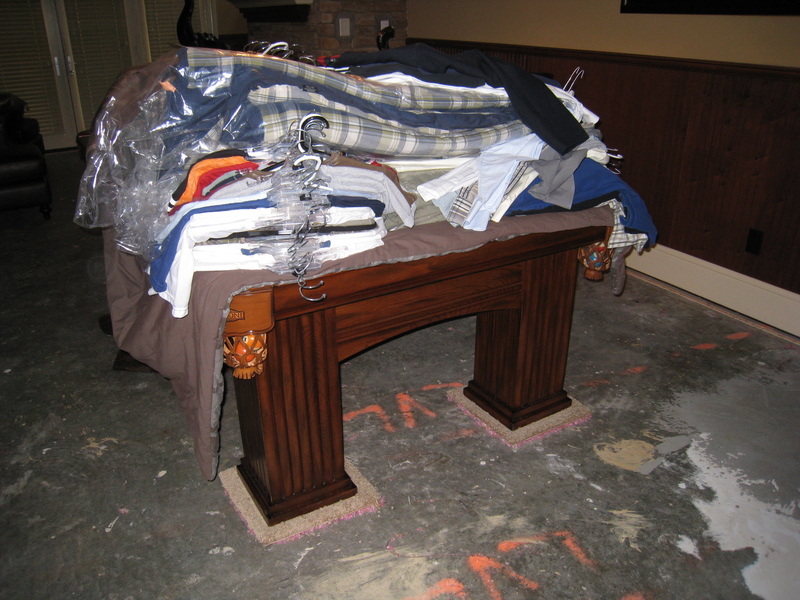 It is best to work around the table until it can be professionally moved. 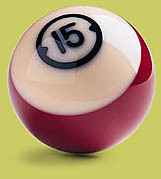 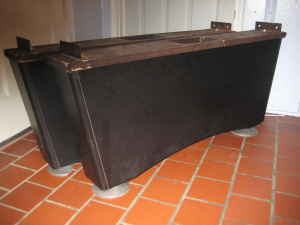 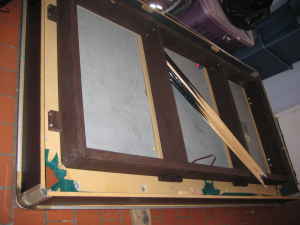 Although tempting, moving a 3 piece slate pool table without properly disassembling it not a wise thing to do. 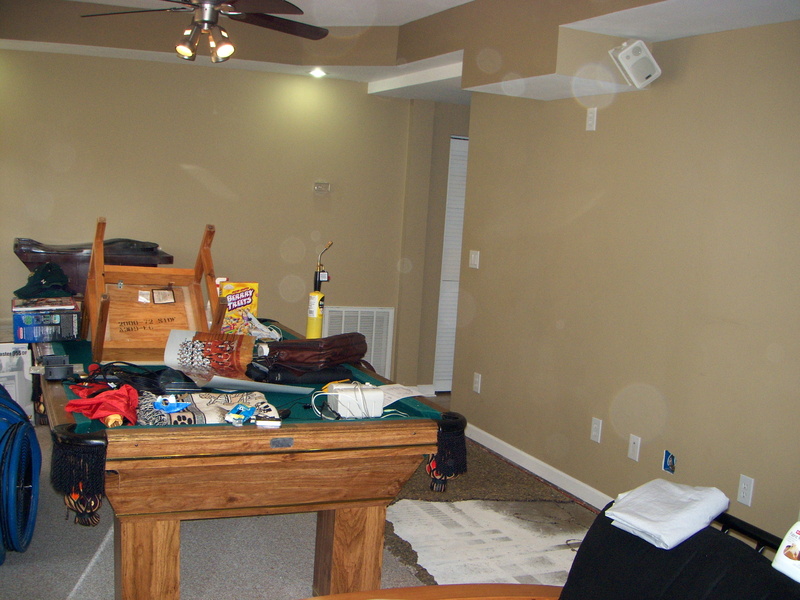 Numerous mishaps (such as pictured left) have occurred causing both minor and extensive damage to the table AND surrounding walls floor and furniture. 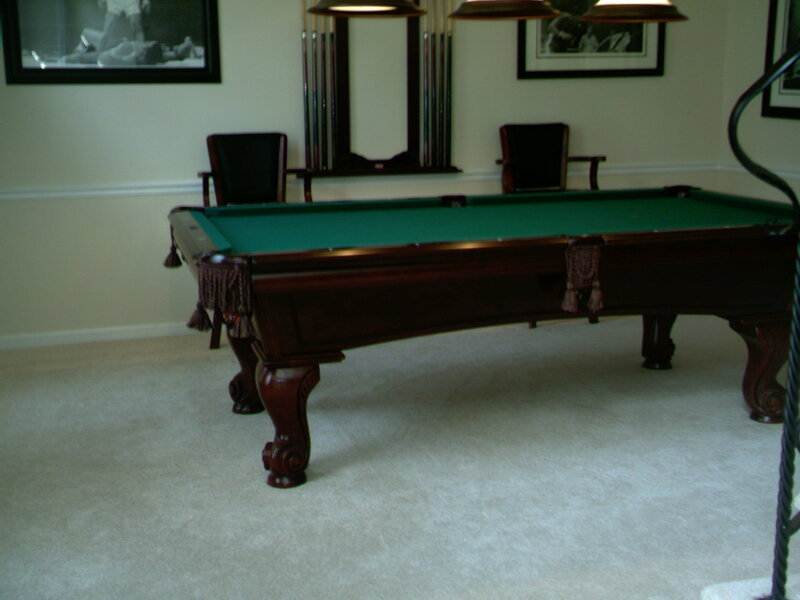 No matter what the situation, leave the pool table service to us and the end result will be a worry free and safe move for you and your customers.